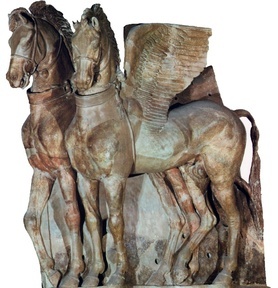 Yoked winged horses. Fifth to fourth century BCE. Terracotta. (Tarquinia, Etruria). The galloping horse. Latter Han Bronze. (Gansu Provincial Meseum, Lanzhou). 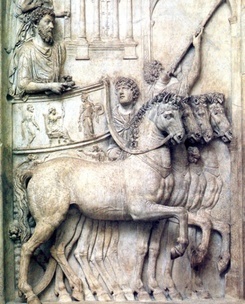 Marcus Aurelius on his parade chariot. (MuseiCapitolini, Rome). 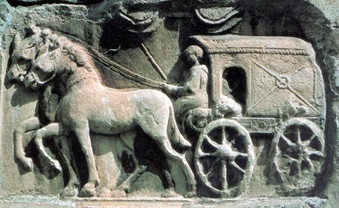 The First Emperor’s light chariot. 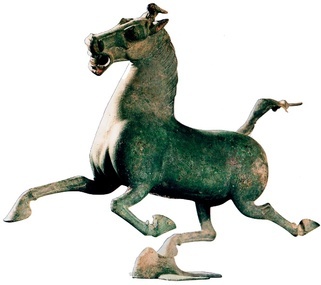 Bronze model abouthalf life size, excavated near the emperor’s mausoleum. A traveling coach. Relief found in the wall of a church in Carinthia, Austria. 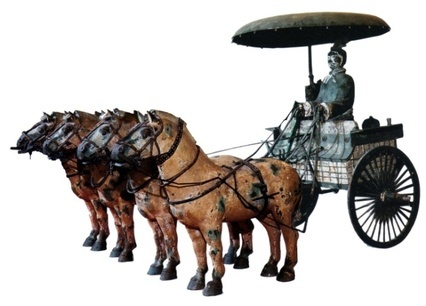 Bronze model of the First Emperor’s traveling carriage. 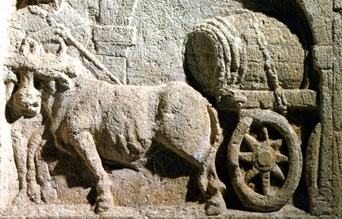 Second century tomb relief in Gaul showing an ox cart. 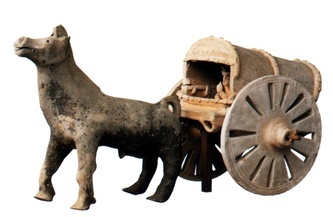 Clay model of an ox wagon. Latter Han, Yangzishan, Chengdu, Sichuan. Tomb painting from Ostia showing a river boat being loaded with grain to be shipped upstream to Rome. Clay model of a river boat for grain transportation, with a crew of six. Burial item in Guangzhou, Guangdong. 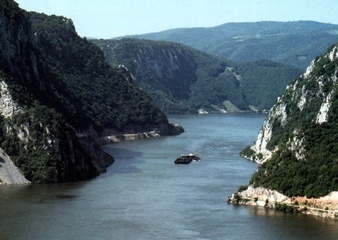 The Iron Gate gorge that impeded traffic on the Danube. When Trajan invaded Dacia in 101, he cut a canal that made navigation safe. 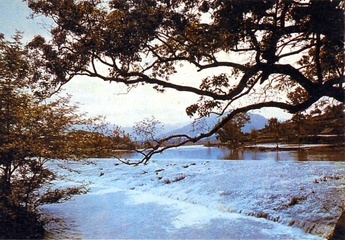 A spillway of the Lingqu, a canal built by the First Emperor around 215 BCE. Still in use, it links the River Xiang and River Lim thus connecting two drainage systems and creating a navigable network covering central and southern China.